2019 Ram 1500 eTorque pickup V6 and V8 fuel mileage revealed | Car News, Reviews, & Pricing for New & Used Cars. 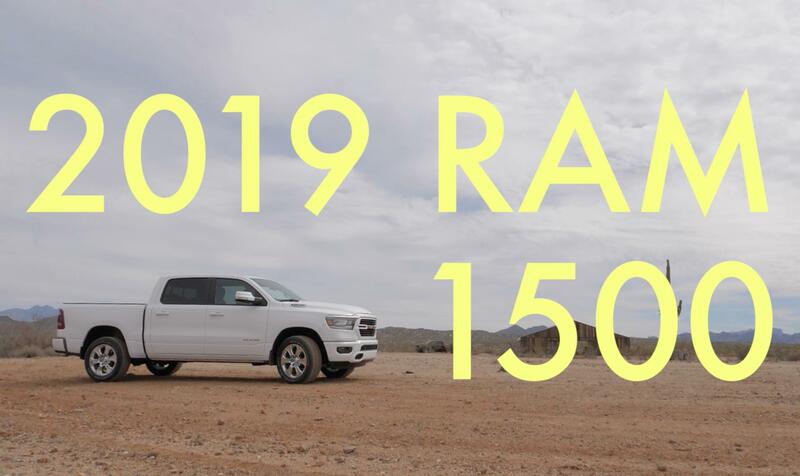 As of right now, the 2019 Ram 1500 is the most fuel efficient new pickup truck in America, thanks to its 3.6-liter V6 engine fitted with the brand’s new eTorque technology. According to the EPA, Ram’s six-cylinder eTorque engine delivers 20 miles per gallon in the city, 25 on the highway and 22 combined in rear-wheel-drive form. Adding four-wheel drive drops those figures to 19/24/21. Those are big improvements over last year’s Ram, which had a max efficiency rating of 17/25/20 without the eTorque system. By way of comparison, a 2018 Ford F-150 with the 3.3-liter V6 is rated at 19/25/22. That’s down a single mile per gallon in the city but is otherwise a match for the Ram. The most efficient truck from Chevrolet currently rated by the EPA is the 2018 edition with GM’s long-running 4.3-liter V6 at 18/24/20. There’s a good chance Chevy’s upcoming 2.7-liter turbocharged four-cylinder will take the efficiency crown, but it’s not yet available. Ram also offers its eTorque technology on its Hemi V8-powered 1500. The EPA rates the two-wheel-drive V8 at 17/23/19 with eTorque (down one mpg on the highway with four-wheel drive). That’s a meaningful gain of two miles per gallon combined over the standard non-eTorque Hemi offering. Ram’s eTorque system replaces the trucks’ standard alternator with a 10-horsepower electric motor and includes a 48-volt lithium-ion battery pack in addition to the standard lead acid battery. We took an eTorque Ram out for a quick spin and found that the technology makes for a truck that’s nicer to drive, with the small electric motor working to make gearshifts feel smooth and refined. And now that we know it provides a real boost in fuel efficiency, it seems eTorque could be a big win for Ram.